Shoaib is an eCommerce Consultant and a Digital Marketer. He has been a part of well known online selling ventures. 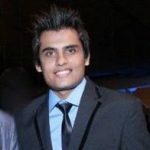 Additionally, Shoaib has an experience of working for more than 5 years in the eCommerce industry.